Well we’ve done it! After being second for the past five years, Thailand is now top of the heap. Not in sales or innovation, not in adoption of electric cars – but as having the worst road safety figures in the world. A world record comes to us. Pity the award is not given for being the best, but for the worst. There are many theories put forward to try and explain road behavior here from lack of training, to buying your driver’s license and learning on the road, to the belief in reincarnation (after all, why worry, things will be better in the next lifetime). I have no desire to delve into such esoterics, but if my ideas are followed, Thailand could lower road deaths by a minimum of 50 percent. 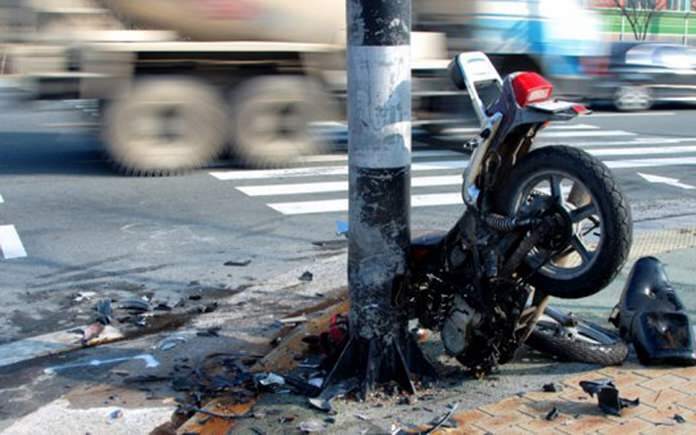 Taking the government’s own statistics, 80 percent of the fatalities are on (or rather off) motorcycles. So now we have a statistic that can be looked at. Sure, there are people unprotected in the back of pick-ups, but they are nowhere compared to motorcycle fatalities. Now, look at the deaths and it can be seen that although alcohol is a contributing factor, it is not more than the percentage motorcyclists themselves dying on the unforgiving road surface. All this was gone over decades ago and when crash helmet wearing became a reality, deaths fell in the UK. Dramatically. 1 All motorcyclists must wear a helmet which has international accreditation, and fastened correctly. 2 All helmet outlets have three months to get the less than useless plastic “helmets” off the shelves and replaced with better grade ones. 3 All motorcycle dealers have to supply a quality helmet with the purchased motorcycle. Reasonable full face helmets can be purchased for under 1,000 B. There are those who say the Thai people can’t afford one – if they can pay for a motorcycle, they can pay for the helmet to go with it. The scenario I have proposed will not cost millions of baht to implement, but it needs a bipartisan approach from government and police. Could that ever happen? A little research in the USA turned up a 2012 Government Accountability Office (GAO) report, “Laws requiring all motorcyclists to wear helmets are the only strategy proved to be effective in reducing motorcyclist fatalities.” In states without an all-rider helmet law 59% of the motorcyclists killed were not wearing helmets, as opposed to only 8% in states with all-rider helmet laws in 2013. Previous articleHello! How are you?